Smart white metal pommel on Kingwood. 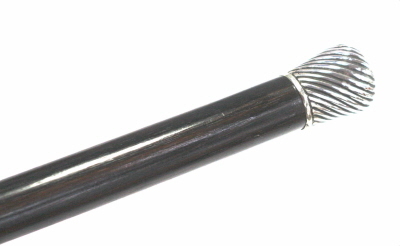 The base of the cane finished with base metal ferrule. Good, smart cane that will look good at any event. Free from breaks, cracks or damage.